Samsung Galaxy Y Smart Netphone Edition Pre-Order Form! Reserve your Unit NOW! If you're already 100% sure that Samsung Galaxy Y Smart Netphone Edition is the Android phone for you, then why not take the extra step and pre-order your handset NOW? This particular Netphone model sells for Php 5,990 with Smart Prepaid Kit and even comes FREE with Smart Data Lite Plan 500 and All-in Plan 800. Learn more about Samsung Galaxy Y. What's great about getting a Smart Netphone Edition Android phone is that it comes with SmartNet services that make mobile browsing more affordable and convenient. With SmartNet, you only pay for the services you need so you don't have to worry about extra charges. So what are you waiting for?! 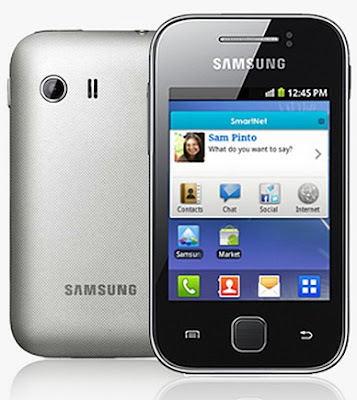 Reserve your Samsung Galaxy Y Netphone HERE.